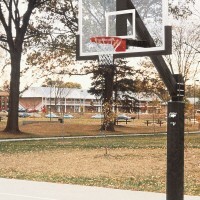 Ultimate Jr. 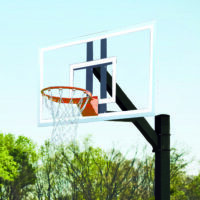 Fan Aluminum Playground System - Bison, Inc.
Ultimate™ Junior Playground Systems are designed with many of the premium features found on its big brother Ultimate Fixed Systems, but with a smaller price tag and different backboard options. 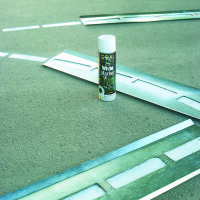 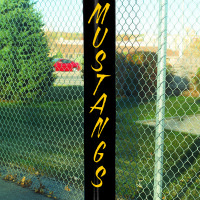 Ultimate Jr. systems feature a 5″ square, 1/8″ wall steel pole that buries a full 36″ into the ground. 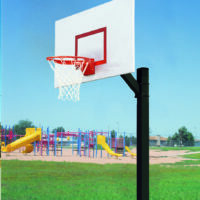 The 4″ square extension arm places the face of the backboard approximately 36″ from the front surface of the pole and provides a stable and rigid support for one of three different backboard and goal options shown below. 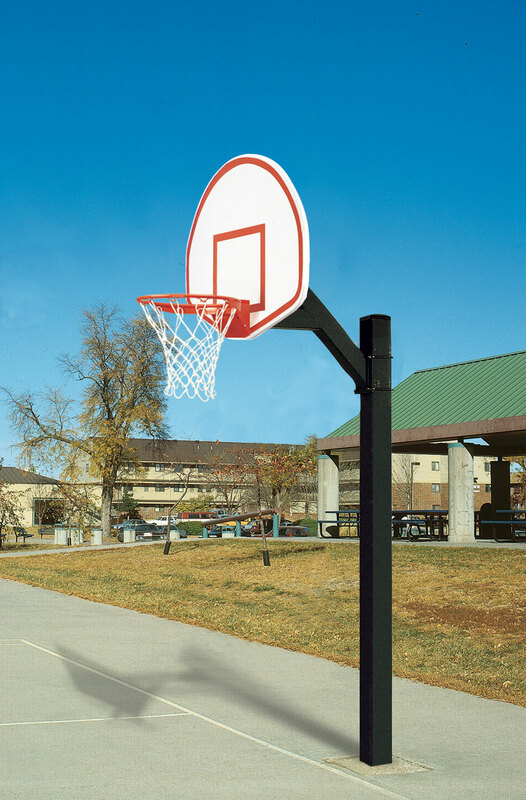 Rim is direct mounted through the backboard into the extension arm so eliminates virtually all stress placed on the backboard during aggressive playground play. 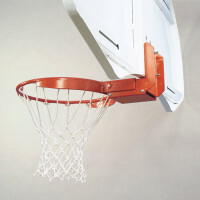 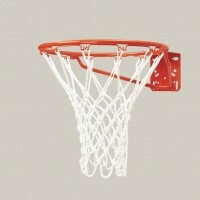 Backboards are also supported by the extension arm at the top. 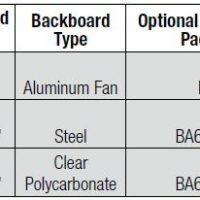 Order BA870JRPP for optional pole padding. 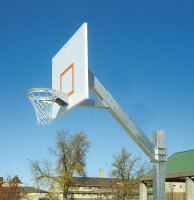 Fan shaped aluminum backboards are the most popular playground backboard in the industry…and will never rust • BA475SS 36″ x 54″ cast aluminum features heavy rear ribbing, white powder coated finish and orange shooter square and border • Includes Bison BA32 outdoor breakaway goal and premium nylon net. 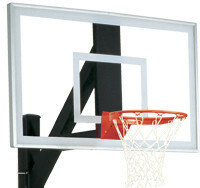 Ten-year limited warranty on system.